Families that take food seriously breed some serious cooks—and eaters. 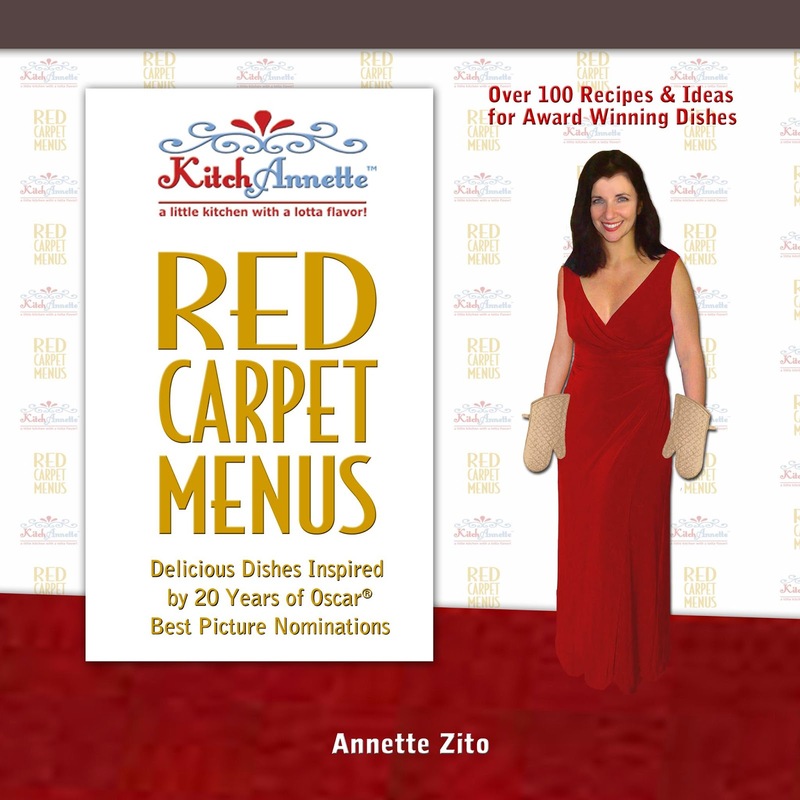 No one understands this better than Annette Zito, the force behind KitchAnnette™. With a blog featuring Annette’s recipes and food musings, and a website promoting her Perfectly Portioned Produce Packs™ and “KitchAnnette Red Carpet Menus” cookbook, KitchAnnette is Annette’s outlet for all things food. Annette’s family is no stranger to the food industry, and growing up, neither was Annette. Her grandfather’s butcher’s shop led to her father’s deli and wholesale produce business that groomed her for a life—and a business—based in the kitchen. When we sat down with her to chat about her recipes and her business, Annette joked about her serious foodie upbringing. At 5, she was already happily rolling meatballs for her dad’s catering jobs, and the passion for food just grew from there. Now, while Annette still enjoys cooking the hearty foods from her childhood, she has shifted focus to juicing. Customers can purchase her JUICE THIS™ line of produce packs that contain perfectly portioned ingredients for a variety of juices. Certainly, juices are a long way from the meatballs and prime ribs and macaroni from Annette’s Sunday dinners growing up, but the lessons she learned from her foodie family are still present in all of the recipes on KitchAnnette, and even in the idea behind her juicing packs business. Annette’s mom cooked a different meal every night, and when she wasn’t cooking, Mr. Zito was taking the family on field trips to different cuisine-specific restaurants in Manhattan and surrounding areas. Vacations were a culinary experience and vice versa. Her father’s passion for good food and epicurean treats has become a treasured family tradition that she carries on. Annette definitely isn’t used to being bored by her dinner plate, and she doesn’t expect her readers or customers to be, either. KitchAnnette offers a variety of easy, accessible recipes alongside various produce packs; the blog, the book, and the business are sure to please and entertain your family’s taste buds any day of the week.